Dance, Fine Arts/Crafts, Basketball, Cheerleading, Soccer, Swimming, Waterfront/Aquatics, Sailing, Volleyball, Team Sports, Adventure, Wilderness/Nature, and more. 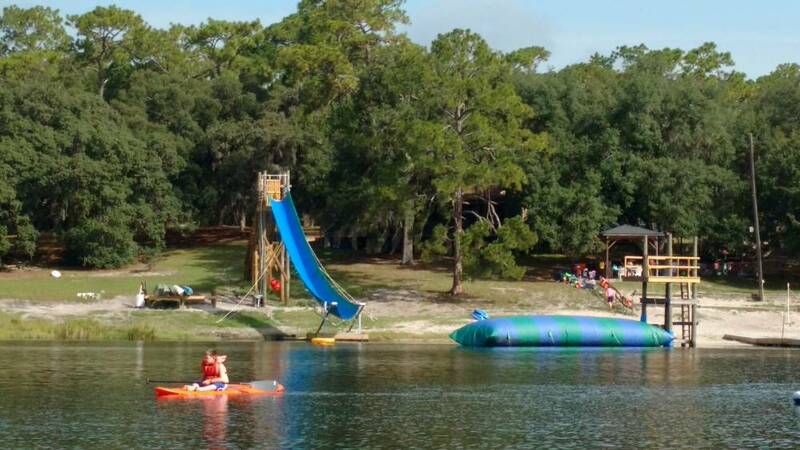 CAMP LOCATION: Located in West Volusia County, YMCA Camp Winona is set on 68 secluded acres of beautiful pine forest and lies on the shores of an 88 acre spring-fed Lake Winona. Please visit our website at: Our Camp Website Link: campwinona.org and our Facebook page at: Our Camp Website Link: www.facebook.com for photos, videos and comments about our camp. CAMP FACILITIES: 16 A/C & heated cabins in 2 villages, sandy waterfront hosts swimming and water activities, basketball court, sand volleyball court, games garden, 2 sports fields, 2 paintball fields, low & high ropes courses, archery range, rifle range, open air crafts building, A/C dining hall, open air chapel/amphitheater, large central fire circle, updated health center and a large education/activity building. CAMP PROGRAM INFO: YMCA Camp Winona provides a great traditional, overnight camping experience. We try to balance tradition with the interests of today’s campers by offering fun, exciting and safe activities. Campers are grouped by age and gender and stay in small rustic cabins complete with built in bunk beds and air conditioning. There are up to 12 campers and two staff in each cabin surrounding centrally located bathhouses. Our meals are prepared by our camp chefs and served family style in our air conditioned dining hall. Our well-balanced meals include cereal, salad bar and sandwich options for those campers wishing an alternative/supplement to the meal. We are equipped to accommodate food allergies and special dietary needs. At the Y, we believe that all kids deserve the opportunity to discover who they are and what they can achieve. Our Resident Camp provides an exciting, safe community for young people to explore the outdoors, build self-esteem, develop interpersonal skills, create lasting friendships and make incredible memories. Our goals are to assist campers in learning by providing balanced growth in the following ways: * To develop the responsibility for one's self and others * To nurture self-confidence, good habits and sound moral values * To promote an atmosphere which increases new interests and skills without fear or failure * To develop in one's life a respect for individual differences among all God's people and creations * To encourage good social skills through the experience of community living. Everyone is welcome. The YMCA Resident Camp experience is for all boys and girls regardless of race, creed or national origin. Please visit our website at: Our Camp Website Link: campwinona.org and our Facebook page at: Our Camp Website Link: www.facebook.com for photos, videos and comments about our camp. * 3Day/2Night Mini Camp (ages 6-8) geared to first time campers. CAMP LEADERSHIP CIT/LIT PROGRAMS: * Two 2-week LIT sessions (ages 15-16). * High School Christian Values Camp - rising freshmen thru graduating seniors. Charter bus up to YMCA Blue Ridge Assembly and spend the week with other high school students in way out games and small group learning. Focus is on personal values system. FAMILY CAMP SESSION(S): * Memorial Day Family Camp in May (Friday - Monday) - 4 days of family fun at a low price. Includes all activities, food and lodging. YEAR-ROUND PROGRAMS: YMCA Camp Winona offers year-round possibilities with our Conference and Retreat program. We host churches, youth groups, clubs and organizations, school groups, businesses, family reunions, large picnics, seminars and other events throughout the year. We have an outdoor education program for school groups as well. Our Teambuilding / Ropes course program and Paintball program play host to many groups as we facilitate them through experiential education. Check out our website for more information or call us at 386-985-4544. OTHER CAMP INFO: Summer Staff information can be found on our website. YMCA Camp Winona is part of the Volusia Flagler Family YMCA. * 6 Sessions running 6 days and 5 nights beginning June 3rd. Fees for regular sessions run $560. * 3-Week CIT Session Camp begins June 3rd and ends July 22nd. * Please visit our website for description and fees of our specialty sessions (LIT, CIT, MiniCamp) as well as descriptions and fees for add-ons (Weekend Stayover, Paintball, High Ropes Course). Live in the cabin with a small group of campers and lead an activity area. Oversee a specific area of camp. Village Directors, Waterfront Director, and Land Activity Director. * For complete staff information go to Our Camp Website Link: campwinona.org or call us at 386-985-4544. Go to The Best Florida Summer Camps Directory to Find More Top Summer Camps Near DeLeon Springs, Florida.